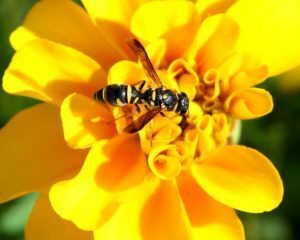 Yellowjackets are a species of wasp, longer and thinner than the average subtype. They are capable of stinging their target several times as opposed to the honey bee’s “once and done” model. Yellowjackets have smaller, more ergonomic barbs, which allows them to pull their stingers out easier than many species. Not only does this make them more fearsome, it also allows them to be very territorial. A hive of yellowjackets will aggressively defend their nest, so please – whatever you do – act with caution. The first thing you should do is call Buckeye Wildlife Solutions. Our team are experts in the field of yellowjacket removal and will ensure that your property is left free of pests. Call us at 844-544-9453 and put your yellowjacket worries to rest! As soon as the BWS team arrives, a specialist will conduct an investigation of the property to find out what brought the yellowjackets to your property. 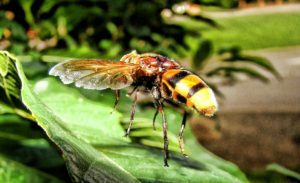 Yellowjackets feed on flies, grubs, and other annoying insects, which is a likely reason for yellowjackets invading your property. Some nests are built inside wall cavities, which poses a threat to anyone and anything inside the house. Other times, nests will be built outside – under decks, porches, or anywhere else they may be able to fit. There are several ways to go about an extermination, but it typically involves pesticides in dust or an aerosol form. Our team will decide which time is best to conduct the extermination. Once all yellowjackets are immobilized, the nest will be destroyed and removed from your property. Determining Optimal Times & Locations for Extermination. Removal of Nest and All Yellowjackets from the Area. Yellowjacket is the North American name for this particular type of wasp. They live in colonies – living, working, and feeding for the benefit of their hive and queen. The typical worker is about 1/2″ long, with queens being only slightly larger. Although difficult to distinguish, the yellowjacket has distinctive markings on its abdomen which help to separate them from hornets and other similar insects. Yellowjackets are capable of stinging their target several times due to their relatively small barbs, meaning they will aggressively defend their territory without fear of losing their weapon. They are natural predators of many insects, making them extremely important to our ecosystem. They work to keep other pesky insects out of your face at the cost of being an icon of fear. Yellowjacket colonies can include as many as 5000 members. Hives can grow to be unthinkably big, with some measuring at over two feet long! 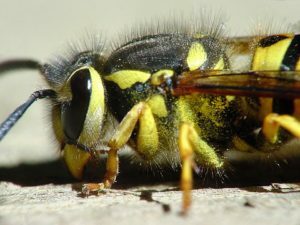 If you’re dealing with yellowjackets, call Buckeye Wildlife Solutions 844-544-9453 for quick, humane removal service. 99% of people are not prepared to handle yellowjacket issues. If you don’t have a working knowledge of their behavior (knowing how they act around their hive, how they operate within their hive, where they are at certain times of day), don’t assume you can remove a hive on your own. There are more than a handful of YouTube videos demonstrating the creative capacities of those with wasp infestations. Some are trained experts, others are simply bored. Regardless, very few experiments ever come to fruition, with most backfiring in one way or another. Please, for your safety and that of your family, put away the paintball gun! 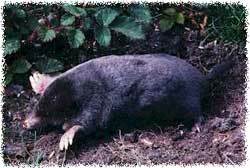 Wildlife removal specialists are trained extensively in this area. 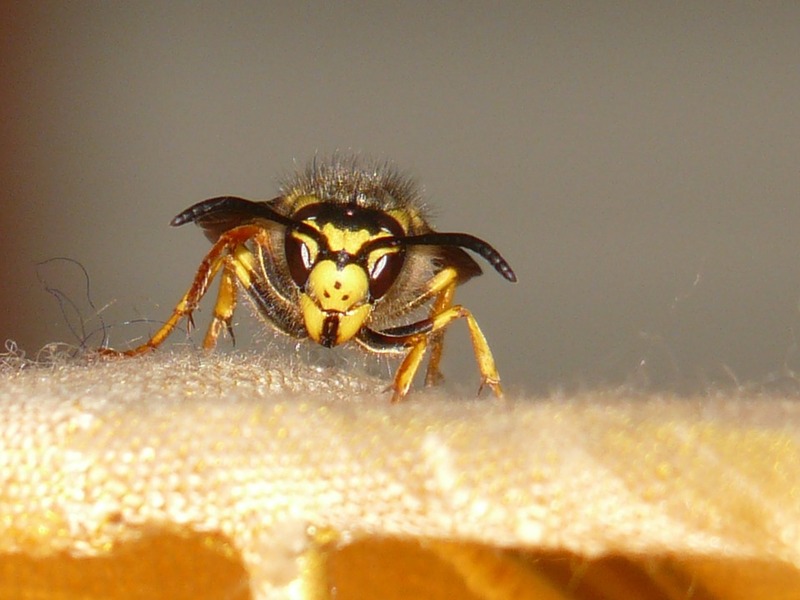 Our team will remove your yellowjacket nest safely and ensure that no wasp is left behind. Call Buckeye Wildlife Solutions today at 844-544-9453!